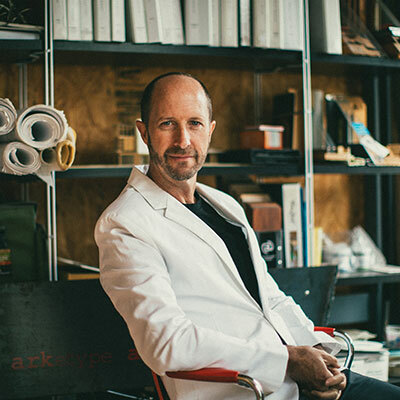 arketype architects inc is a Ventura, California architectural design firm founded in 2001 specializing in environment friendly, value-oriented design and capable of meeting a diverse range of projects. We emphasize the importance of the client-architect relationship by first understanding our client’s needs and budget before design begins. Since each site has a one of a kind setting that is interconnected with the built and natural environment, we seek opportunities to strengthen and improve this relationship and to make the basic need for shelter an inspirational experience. Our services cover all phases of the design process from conceptual through working drawings and permitting. The arketype design process includes intelligent analysis of a problem, development of a program that will produce viable possibilities, and implementation through creative experimentation that leads to an ideal design solution. Depending on our client’s goals, we offer Designer-Led Design-Build construction services or traditional jobsite construction administration. As cities and towns have largely been built-out, it has become necessary and important to improve inward to achieve a higher quality of life and function in the space people occupy and in order to preserve and protect all life. We foster the use of eco-friendly processes and materials that are low maintenance and offer the best long term value, seeking design solutions that conserve resources and produce inspiring spaces that connect us to the outdoors. This environmentally conscious strategy is guided by the principles of reduction, conservation, and sustainable use of natural resources. As so many artisans before us have established legacies that were reflections of the social and economic conditions in which they lived, we too desire to make a positive impact in our practice. A southern California native with over 30 years of practical experience in design and construction has blended his academic excellence and architectural education with the passion for environmental preservation and design. He provides his clientele with architectural solutions that incorporate environmentally sustainable design. His projects consist of residential renovations, new homes, multi-family residential, mixed use, and small commercial including hillside developments. As so many artisans before us have established legacies that were reflections of the social and economic conditions in which they lived, David desires to make a positive impact in his practice. With his experience working in historic contexts, and appreciation of architectural history, he is proficient in many genres. David values design that acknowledges the needs of our era such as the conservation of natural resources, providing affordable housing, and appropriate density with mixed uses in our cities to create safe and beautiful environments. Outside of his work David’s activism and creativity to solve problems has gained him a good reputation in the community. He has been successful in addressing community and agency issues in ways that are beneficial. His efforts in environment preservation have gained him the respect of many, including the Ventura Chamber of Commerce who presented him with the Environmental Excellence Poinsettia award in 2005, and the City of Ojai honor for Outstanding New Mixed-Use Building Design in 2006. David has served as a member of the “View Protection & Solar Access Task Force” and has been a part of City of Ventura Artist selection panels for selection of public artwork. In 2011 David was appointed to the City of Ventura Planning Commission and the Design Review Committee by City Council. He has served as Chair and Vice Chair on these committees. David also serves on the board for Bike Ventura, an organization that promotes use of bikes as alternative method of transportation. David is an environmental activist, a longtime resident and business owner in Midtown Ventura. His concern for others and the willingness to give back to the community has gained him the trust of clients, community members and stake holders.